WE HAVE SUCCESSFULLY BURST THE BONDS OF OUR HUMAN EGOS. THE NEXT CRITICAL STEPS OF PREPARATION. HUMANITY’S INITIATION INTO A HIGHER ORDER OF BEING. THE MIRACULOUS DIVINE PLAN FOR SEPTEMBER 2015 ECLIPSES, THE EQUINOX, AND WAVE-X. I AM sending out this very important information on September 8th because it is the day that is celebrated in the outer world as Mother Mary’s Birthday. This powerful representative of the Divine Feminine and Universal Keeper of the Flame of the Immaculate Concept, is working in unison with Saint Germain who is the Universal Keeper of the Violet Flame of God’s Infinite Perfection. Together they have God Victoriously fulfilled a facet of the Divine Plan that they initiated on behalf of ALL Humanity and every particle of Life evolving on this Planet during the initial impulse of our fall from Grace. The success of their Divine Mission has catapulted Humanity and the Earth into frequencies of vibration that will allow us to tangibly experience one of the most critical facets of our Ascension process. We are in the midst of this amazing event this very moment. Our conscious awareness of the opportunity at hand will allow us to participate in ways that will transform our lives forever. The information I am sharing with you in this article is complicated, but it is something you know in the deepest recesses of your heart or you would not be on Earth during this auspicious time. If possible, please print this article out and read it when you have time to go within and really contemplate what has happened during the past few weeks and what is happening now during the month of September 2015. Within the Divinity of your Heart your I AM Presence will confirm the Truth of this information. Then through this inner knowing, you will clearly understand just how to assimilate and effectively utilize the profound opportunity at hand. On August 15, 2015, the day celebrated in the outer world as Mother Mary’s Ascension Day, approximately 700 people from 22 countries gathered within the Portal of Healing Through the Power of Infinite Transmutation and Transfiguring Divine Love in Tucson, Arizona. The vehicle for this gathering of selfless Lightworkers was the 29th Annual World Congress on Illumination. We were joined in consciousness by Lightworkers all over the World who were projecting Light from their various locations into the portal in Tucson. In one-pointed consciousness, we unified our Heart Flames and formed a powerful transformer through which the Light of God would flow throughout the entire week to accomplish the vital facet of the Divine Plan that was destined to be victoriously accomplished through the unified efforts of the entire Company of Heaven and embodied Lightworkers around the World. On August 16, 2015, Archangel Michael and his mighty Legions of Power and Protection descended into the atmosphere of Earth. Archangel Michael directed his Legions to traverse the Earth north, south, east, and west. One of these powerful messengers of God entered the aura of every single man, woman, and child on Earth and with the permission of each person’s I AM Presence established an invincible forcefield of Protection and Divine Love around the fragmented and fear-based aspect of every person’s human ego. This invincible forcefield of Protection and Divine Love was specifically designed to prevent these wayward aspects of Humanity’s fallen consciousness from interfering with the influx of Light that would burst, ONCE AND FOR ALL, the paralyzing and oppressive grip that our human egos have had, since the fall, on our physical, etheric, mental, and emotional bodies. Once that forcefield of Light was secured around every person’s human ego, our Father-Mother God sounded a Cosmic Tone that signaled to ALL Creation that the Cosmic Moment had at last arrived. This was the moment Humanity’s I AM Presences and the Company of Heaven had been working toward since the miscreation of our fragmented and fear-based human egos literally millions of years ago. In response, the Legions of Light throughout Infinity projected their Light and Love in, through, and around every particle and wave of Life on Earth, thus, holding the sacred space for God’s Eternal Victory in the next critical facet of the unfolding Divine Plan. When all was in readiness, our Father-Mother God Breathed into the Heart Flame of every person’s I AM Presence the most intensified frequencies of 5th-Dimensional Crystalline Solar Light that Humanity was capable of withstanding at that moment. On the Holy Breath of God, every atomic and subatomic particle and wave of Light within Humanity’s physical, etheric, mental, and emotional Earthly Bodies Ascended in energy, vibration, and consciousness into a frequency of 5th-Dimensional Crystalline Solar Light that burst asunder our human ego’s paralyzing grip. This event PERMANENTLY freed Humanity’s Earthly Bodies from the bonds our egos have used to manipulate and control us through fear-based thoughts, feelings, actions, and distorted beliefs in separation and duality. In spite of the pain and suffering our egos have inflicted in our lives and the chaos they have created on a global level, they are still part of us and cannot be destroyed. They must be transformed and Loved into the Light. That, in fact, was the next phase of the Divine Plan. Once the human ego’s oppressive grip was burst asunder, the I AM Presence of every person was able to Breathe their ego into their Heart Flame. At this point, every ego was still encapsulated in the invincible forcefield of Protection and Love created by Archangel Michael’s Legions of Light. Now, within the Divinity of every person’s Heart Flame, our I AM Presence will perpetually bathe our ego in frequencies of Forgiveness and Divine Love until this aspect of our fallen personality surrenders to the Light of God and is Eternally Loved FREE. Each of Archangel Michael’s selfless Legions of Light has volunteered to remain in our auras and to sustain the forcefield of Protection and Love around our egos until this process is complete. This means very practically that our human ego will never again be able to manipulate and control us through its fragmented and fear-based consciousness. The guidance from our I AM Presence is always based in Love and Reverence for Life. This means without the interference of our human ego, our I AM Presence will be able to easily project viable solutions to our Earthly challenges that will be perceived through our open hearts and conscious minds. During the next two days, August 17-18, 2015, the Company of Heaven worked with Lightworkers and the I AM Presence of every person on Earth to clear and heal the traumatized areas in Humanity’s Earthly Bodies. These are the dense areas where our human egos previously existed. Since we are One and there is NO separation, this Activity of Light also cleared and healed the areas in the physical, etheric, mental, and emotional strata within the bodies of Mother Earth as well. These were areas where the deliberate actions of Humanity’s human egos had wounded and traumatized the Planet. The Divine Intent of this intervention was to prepare every man, woman, and child, and Mother Earth herself, at a cellular level for an influx of Light that the Company of Heaven said would have literally vaporized the Earth and all her Life as recently as four years ago. That dramatic statement was given to us by the Beings of Light to demonstrate the unprecedented acceleration in frequency and consciousness Humanity and the Earth have experienced at an atomic and subatomic level since the Birth of the New Earth on December 21-22, 2012. 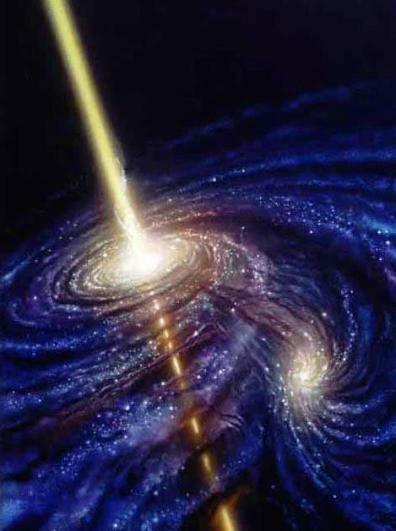 The two Gifts from On High that accomplished this monumental clearing and healing were the most intensified frequencies of 5th-Dimensional Crystalline Solar Fire that the Earth and Humanity had ever been able to assimilate. This Crystalline Solar Fire contained sacred geometric patterns and previously unknown archetypes associated with the Flame of Transfiguring Divine Love and the Violet Flame of God’s Infinite Perfection. These Gifts of Sacred Fire from the very Heart of our Father-Mother God were encoded to clear and heal the bodies of Humanity and Mother Earth the maximum that Cosmic Law would allow. This Activity of Light paved the way for the fulfillment of a Divine Plan that Mother Mary and Saint Germain vowed to accomplish on behalf of ALL of the Sons and Daughters of God evolving on this Planet if we were ever freed from the grip of our human egos. On August 19, 2015, Mother Mary and Saint Germain projected their luminous Presence into our sanctuary to guide us through an Activity of Light that they had been orchestrating since Humanity’s fall from Grace. On this Planet Ages ago, the Sons and Daughters of God made the fateful decision to use our free will and our creative faculties of thought and feeling to create patterns of imperfection that were not based in Love. That tragic choice resulted in Humanity’s catastrophic fall into the abyss of separation and duality. That horrific event resulted in the unintended consequences that formed our fragmented and fear-based human egos. Mother Mary is the Universal Keeper of the Flame of the Immaculate Concept, which reflects the Original Blueprint and the Divine Potential of every person, place, condition, and thing existing in the Causal Body of God. Saint Germain is the Universal Keeper of the Violet Flame of God’s Infinite Perfection, which reflects the perfect balance of our Father God’s Blue Flame of Divine Power and our Mother God’s Pink Flame of Divine Love. When these two selfless messengers of God witnessed Humanity’s devastating fall from Grace they realized that without superhuman Divine Intervention the potential of the Children of God lifting ourselves out of the quagmire of negativity we were miscreating was practically nonexistent. With that realization, Mother Mary took a Sacred Oath promising before God to hold the Immaculate Concept for every Son and Daughter of God evolving on Earth until each and every one of us Awakened effectively enough to burst the bonds of our human egos and return to Christ Consciousness. 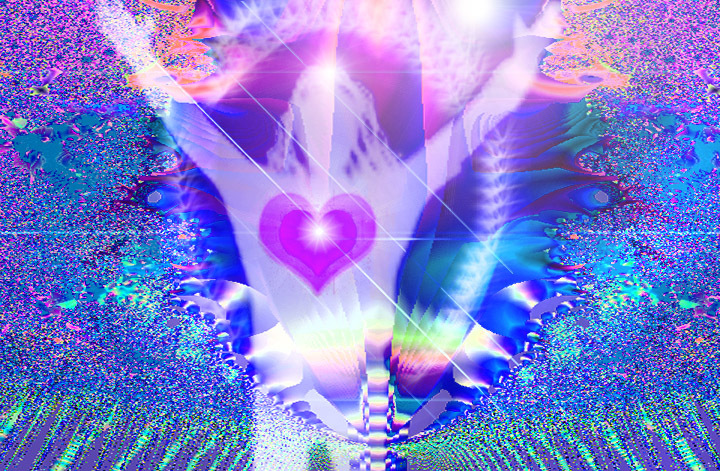 Saint Germain, in turn, took a Sacred Oath promising before God to hold the balance of the Violet Flame of God’s Infinite Perfection within the Heart Flame of each and every person’s I AM Presence until the human ego was Loved Free and Humanity’s Earthly Bodies were reclaimed. On August 19, 2015, Mother Mary and Saint Germain affirmed that THIS WAS THAT COSMIC MOMENT! This was the sacred and holy day for which Mother Mary and Saint Germain had been preparing for millions of years. With Mother Earth and ALL Life evolving upon her securely held within the transformer of our Unified Heart Flames, Mother Mary and Saint Germain bathed the Earth and all her Life in newly encoded 5th-Dimensional Crystalline Solar frequencies of the Flame of the Immaculate Concept and the Violet Flame of God’s Infinite Perfection. The Flame of the Immaculate Concept is an exquisite Madonna Blue Flame with a Crystalline White aura. The Madonna Blue Flame pulsates with the Immaculate Concept of ALL Life and the Crystalline White aura pulsates with frequencies of the Ascension Flame. The Violet Flame of God’s Infinite Perfection blazes in perfect balance with all of the various frequencies of our Father God’s Blue Flame of Divine Power and our Mother God’s Pink Flame of Divine Love. Once these Sacred Flames were secured within the Core of Purity in every electron of precious Life energy on Earth, Mother Mary and Saint Germain guided Humanity’s I AM Presences through the process of reversing the adverse effects that Humanity’s fall from Grace has had on our DNA structures. Scientists believe that our DNA consists of two strands that form a double-helix configuration. They believe that the genetic codes within this double-helix contain everything we need to explain our existence. For a long time scientists thought that our DNA was stationary and could not be changed. They called more than 94% of our DNA “Junk” DNA, because they had no idea what its purpose was. Scientists now know that our DNA structures are shimmering, waveform configurations that are moment by moment being modified by Light, solar radiation, magnetic fields, sonic impulses, thoughtforms, emotions, and most profoundly—GAMMA-RAYS. What they do not realize yet is that originally we had 12 strands of DNA that functioned as a very elaborate communication system. This DNA system allowed us to maintain conscious awareness of all of the multidimensional and multifaceted aspects of ourselves. At that time, our DNA also allowed us to easily perceive the Immaculate Concept of our Divine Potential as Sons and Daughters of God. This is when we functioned in the full embrace of Christ Consciousness. With the fall, we descended into such dense and discordant frequencies of separation and duality that our 12 strands of DNA short circuited into the two strands that our scientists have discovered. The reality is that the genetic codes in these fragmented strands of DNA do not contain our full potential. On the contrary, they contain barely enough of our genetic codings to sustain brain consciousness. This is why it is perceived that we only use 10% of our brain capacity and that, in most instances, we no longer experience Christ Consciousness. With the unprecedented shift of energy, vibration, and consciousness Humanity and all Life on Earth had experienced since the Birth of the New Earth in 2012, and the long awaited removal of Humanity’s human egos, Mother Mary and Saint Germain were finally able to fulfill their sacred oaths. During what was perceived by many to be a miraculous Act of Divine Grace, the I AM Presence of every man, woman, and child on Earth was empowered in previously unknown ways which allowed them to recalibrate and re-circuit our fragmented strands of DNA into TWELVE NEW 5TH-DIMENSIONAL CRYSTALLINE SOLAR STRANDS OF DNA. Every person’s I AM Presence integrated and assimilated this Life-transforming shift in the Realms of Cause in preparation for Humanity’s Initiation into a Higher Order of Being, which was destined to be God Victoriously accomplished the next day. On August 20, 2015, there were two final processes that needed to occur within Humanity’s newly freed Earthly Bodies before our Initiation into a Higher Order of Being. With the assistance of the Mighty Elohim who are the Cosmic Builders of Form, and the Directors of the Ether, Air, Fire, Water, and Earth Elements, the I AM Presence of every person on Earth was guided through an Activity of Light that activated the dormant Elemental Vortices within Humanity’s Earthly Bodies. During this activation, Humanity’s Elemental Vortices were recalibrated by the Mighty Elohim and our I AM Presence to receive Higher Frequencies of 5th-Dimensional Crystalline Solar Light than we have ever known. This is the critical Light frequency that is necessary in order for our I AM Presence to transform our carbon-based planetary bodies into 5th-Dimensional Crystalline Solar Light Bodies. During this Cosmic Moment on Earth, our Father-Mother God have given permission for the Directors of the Elements and the Mighty Elohim to greatly increase the assistance they are giving to Humanity in our physical transformation process. Our Earthly Bodies are comprised of the various elements. Our physical body is associated with the Earth Element, our etheric body the Air Element, our mental body the Fire Element, our emotional body the Water Element, and all of these vehicles are enveloped in the more rarefied substance known as the Ether Element. The Elementals are intelligent Beings that use the atomic and subatomic particles within the elements for the building blocks of all manifest form. Within our Earthly Bodies there is a Master Deva that directs all of the Elementals within our vehicles. This Being is known as our Body Elemental and took vows at our inception to remain with us throughout all of our Earthly sojourns. In the beginning, our Body Elemental was able to easily outpicture the patterns of perfection within our DNA messenger codes. This was largely due to the active Elemental Vortices within each of our Earthly Bodies. These vortices energized and sustained the elements within each of our bodies, which allowed the Elementals to help us maintain a state of vibrant health and eternal youth. Unfortunately, after the fall, everything changed. Our Elemental Vortices became dormant when Humanity fell into the illusion of separation. Now that Humanity is free from the manipulation of our human egos, the Directors of the Elements have been given permission to not only reactivate the Elemental Vortices within our Earthly Bodies, but to recalibrate them to receive Higher Frequencies of 5th-Dimensional Crystalline Solar Light than we have ever been able to withstand. On August 20, 2015, the Mighty Elohim and the Directors of the Elements guided the I AM Presence of every person on Earth through the reactivation of our Five Elemental Vortices. The Five Elemental Vortices are swirling vortexes of Light that shine like miniature Suns within our Earthly Bodies when they are fully activated. The first vortex to be activated was the Ether Vortex which pulsates above our head. On that sacred and holy day, under the guidance of the Mighty Elohim, Humanity’s Ether Vortex was awakened and fully activated. The Light of God expanded through the Ether Element and every person’s Ether Vortex began blazing like the Sun allowing our four Earthly Bodies to be bathed in rarefied Ethers from the 5th Dimension. 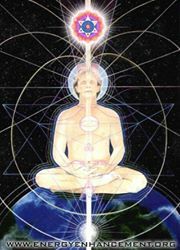 Next, the Air Vortex which pulsates in the location of our Throat Chakra was fully activated. When the Air Vortex awakened it began blazing like the Sun. The Light of God expanded through the Air Element within our vehicles and Humanity’s Etheric Bodies were Transfigured. Next, the Fire Vortex which pulsates in the location of our sternum in the center of our chest was fully activated. When the Fire Vortex awakened it began blazing like the Sun. The Light of God expanded through the Fire Element within our vehicles and Humanity’s Mental Bodies were Transfigured. The Water Vortex which pulsated within the location of our Root Chakra at the base of our spine was fully activated next. When the Water Vortex awakened it began blazing like the Sun. The Light of God expanded through the Water Element within our vehicles and Humanity’s Emotional Bodies were Transfigured. Next, the Earth Vortex which pulsates between our feet was fully activated. When the Earth Vortex awakened it began blazing like the Sun. The Light of God expanded through the Earth Element within our vehicles and Humanity’s Physical Bodies were Transfigured. After the God Victorious accomplishment of that facet of the Divine Plan, Humanity was ready for the final process that would allow us to be Initiated into a Higher Order of Being. Once again, under the guidance and direction of the Builders of Form, the Mighty Elohim, Humanity’s I AM Presences were led through an accelerated process of Divine Alchemy that brought NEW frequencies of 5th-Dimensional Crystalline Solar Light through our newly activated Elemental Vortices and into our physical, etheric, mental, and emotional bodies. According to the Beings of Light in the Realms of Illumined Truth, that event quickened the Divine Alchemy taking place within Humanity’s and Mother Earth’s Bodies and accelerated the transformation into our 5th-Dimensional Crystalline Solar Light Bodies in ways that transcends the comprehension of our finite minds. Once that facet of the unfolding Divine Plan was successfully accomplished, Solar Logos from Suns beyond Suns beyond Suns projected their luminous Presence into the atmosphere of Earth and took their strategic positions around the Planet. On the Holy Breath, these representatives of our Omniscient, Omnipresent, Omnipotent Father-Mother God­—the Cosmic I AM—All That Is, braced Mother Earth and all Life evolving upon her in powerful shafts of Light. When all was in readiness, our Father-Mother God­ Breathed the Sons and Daughters of God evolving on Earth a quantum leap up the Spiral of Evolution and Initiated each and every one of us into a Higher Order of Being. The overwhelming success of that Activity of Light assured that from that moment forth, the Sons and Daughters of God evolving on Earth who have experienced depths of pain and suffering beyond anything we were ever intended to endure, will never again be manipulated in such abhorrent ways by the fallen consciousness of our human egos. That final Activity of Light, God Victoriously completed the Immaculate Concept of the Divine Plan for the 29th Annual World Congress on Illumination and set the stage for the miracles that are destined to take place in September 2015. I think that by the time we finally get through this unprecedented Ascension process we are all going to be Quantum Physicists. I know some of this information is a bit overwhelming, but in order to really grasp the magnitude of what is happening on this sweet Earth the Beings of Light want us to at least contemplate some of these mind-boggling Truths. When we take the time to contemplate this information, we open the door for our I AM Presence to reveal to us our particular part of the unfolding Divine Plan. Then we are more easily able to fulfill our mission and the greatest need of the hour on behalf of Humanity and Mother Earth. Fortunately, without the interference of our human egos this is now going to be easier than ever before. The reason this Ascension process is so unique is because we are not just one-by-one completing our Earthly experiences and Ascending into the Inner Realms to begin the next level of our individual learning process, as so many of our sisters and brothers have done since the inception of this Planet. This time every man, woman, and child on Earth is simultaneously Ascending into the 5th-Dimensional Crystalline Solar Frequencies of the New Earth—AND WE ARE BRINGING THE TRANSFORMED OLD EARTH AND ALL LIFE EVOLVING UPON HER WITH US! The old Earth and our recalcitrant sisters and brothers who are still asleep can only succeed in making this monumental shift if those of us who are Awake, and abiding in the physical plane, will make the conscious decision to accept responsibility for being our sisters and brothers keepers. We can help exponentially by invoking the Violet Flame on behalf of ALL Humanity and transmuting the human miscreations of our fragmented human egos from every time frame and dimension both known and unknown. Then, through the Divine Alchemy of God’s Infinite Light, we can transform every atomic and subatomic particle and wave of energy within our Earthly Bodies and those of our sisters and brothers in the Family of Humanity into 5th-Dimensional Crystalline Solar Light Bodies. We not only have the ability to do this on behalf of Humanity, we also have permission to do this because WE ARE ONE and there is NO separation. We have reached a critical mass of Divine Love and the I AM Presence of every person on Earth has made the conscious decision to move forward in the Light. This is true whether or not the person has realized this yet on a conscious level. The Universe is standing in readiness awaiting the invitation to assist us in this unprecedented experiment. It is true that we are in uncharted waters, but through the unified efforts of Heaven and Earth OUR VICTORY IS ASSURED! The Company of Heaven has revealed that shifts of energy, vibration, and consciousness unparalleled in the history of time have occurred since the Birth of the New Earth in December 2012. However, the Beings of Light in the Realms of Illumined Truth say those accomplishments will pale in comparison to the shifts we are on the verge of experiencing in the month of September 2015. Every conceivable assistance is being given to Humanity from On High to help us accomplish our Ascension process. One of the most astounding things is the influx of Gamma Rays we have received from what scientists say was one of the biggest and hottest explosions in the Universe. This monumental influx of Light reached the Earth in 2014, and it is daily and hourly affecting the recalibration of our DNA. This powerful influx of Gamma Rays was the result of an explosion of a Star that took place more than 12.1 billion years ago. The Beings of Light confirmed that this Light reached Planet Earth in perfect Divine Timing. Just to give you an idea of how far away this Star was, it takes 8.17 minutes for Light from the surface of the Sun to reach the surface of the Earth. Sometimes these astronomical numbers about time and space seem confusing to us, but we must remember that time and space only exist in the 3rd and 4th Dimensions. From the 5th Dimension and beyond, there is no such thing as time or space. In the Higher Realms of Light everything occurs in the Eternal Moment of Now. Gamma-ray bursts are not well understood by astronomers, but they realize that they are very important because they are the most powerful explosions in the Universe. These bursts release more energy in 10 seconds than Earth’s Sun will release during its entire expected lifespan of 10 billion years. Just imagine! The Beings of Light have revealed that Gamma Rays are instrumental in recalibrating Humanity’s DNA structures. Now that Humanity’s fragmented double helix DNA has been restored in the Realms of Cause to the 12 strands we originally had, and recalibrated to the frequencies of 5th-Dimensional Crystalline Solar Light, we are ready for the monumental events that will take place in September 2015. These events will catapult the Earth and ALL Life evolving upon her into the highest frequencies of the New Earth we have ever experienced. According to the Company of Heaven, the anticipated influx of Gamma Rays we will receive from WAVE X will shift Humanity’s DNA in ways that will result in the most profound Awakening and return to Christ Consciousness that has ever been attempted in any System of Worlds. As is always the case, these monumental Activities of Light will occur first in the Realms of Cause, then they will be magnetized into the world of effects which is the physical plane. This is accomplished as the Sons and Daughters of God abiding on Earth magnetize these shifts into the world of form through the Divinity within their Heart Flames. This means that we are not going to instantaneously experience Heaven on Earth in September 2015, but once something is secured in the Realms of Cause NOTHING can prevent it from manifesting in the world of effects. The only variable is how long that will take and that is up to you and me and the rest of Awakening Humanity. To grasp the full magnitude of what is occurring in September 2015 the Beings of Light want us to comprehend on a conscious level that this will involve the shift of energy, vibration, and consciousness of every single atomic and subatomic particle and wave of Life evolving this Planet. Even the most minute subatomic particle has Divine Intelligence and serves an important purpose. For instance, the top quark is one of the smallest indivisible units of heavy matter. This tiny particle is an important building block of all manifest form even though the top quark is smaller than a trillionth of the width of a human hair and exists for only a trillionth of a trillionth of a second. That is not a typo! The Beings of Light keep reiterating how vital it is that we expand our awareness to realize that everything is alive and has a degree of intelligence and consciousness. They have assured us that this realization will quickly shift the perception of the masses into the acceptance of the Oneness of All Life, which will in turn precipitate Humanity’s Reverence for All Life. As Humanity continues to Awaken into a higher level of Christ Consciousness, much that we have taken for granted in the World is being revealed as inaccurate. This is causing confusion and much controversy in the various fields of science. For centuries science has used the limited left-brain approach of observing nature and the Universe objectively and then making logical assumptions based on empirical evidence. Now, however, as we move into the 5th-Dimensional Crystalline Frequencies of the New Earth that must change. Through the newly Awakened state of Christ Consciousness, Humanity en masse is at long last moving away from the dominance of our mind and our fragmented left-brain thinking. With the assistance of our I AM Presence, we are finally balancing our intellect with the Love nature of our heart and our right-brain’s creative and intuitive capabilities. This transformation is creating an entirely new process for assimilating information that expands our awareness from the limitations of the dense 3rd-dimensional plane into the multidimensional and multifaceted reality where each and every one of us actually abides. Now, at long last, instead of being controlled by all of the layers of distorted human thought which were derived from our manipulative human egos after the fall—conscious, subconscious, and unconscious mind—our I AM Presence is taking command. Through our newly balanced right- and left-brain hemispheres, the unification of our hearts and minds, and our newly activated 12 Solar Strands of 5th-Dimensional DNA, we are now able to assimilate information directly through the Divinity of our Super Conscious Mind which is our I AM Presence. Awakened Humanity will now, en masse, begin perceiving everything as Divine Energy, Vibration, and Consciousness whether it is something in our daily lives or coming to us from dimensions beyond. As we assimilate our shift into Christ Consciousness day by day, unimpeded by our fear-based human egos, we will become tangibly aware of this profound Truth in our meditations and in our everyday life experiences. The miraculous catalyst for this profound transformation is happening NOW! On September 12-13, 2015, we will experience the beginning of our first Eclipse series without the interference of our human egos. This will be a powerful partial Solar Eclipse that will greatly assist the I AM Presence of every man, woman, and child on Earth to assimilate the miraculous changes that we have been blessed with so far in 2015. On September 22-23, 2015, which is the September Equinox, we will intensify the influx of Light from the New Moon Solar Eclipse and secure it into the Core of Purity in every atomic and subatomic particle and wave of Life on Earth. The effects of that Activity of Light will build in momentum until September 27-28, 2015, when we will experience not only an incredibly powerful influx of Light from a total Full Moon Lunar Eclipse, but a life-transforming influx of Light from a Celestial Event referred to as WAVE X, or The Event Horizon. This is a Celestial opportunity that we have not been able to benefit from since our fall from Grace. On September 28, 2015, we will receive a crescendo of Gamma Ray Light from the Galactic Core. This is a rhythmic pulsation of Light that blesses our Solar System every 3,600 years with the Divine Intent of raising the consciousness of Sons and Daughters of God and accelerating the evolution of our Solar System. Even though this wondrous Gift of Light from On High has been available every 3,600 years, since our tragic fall from Grace the Earth and Humanity have been vibrating at a discordant frequency that was unable to receive or assimilate the benefits of these Gamma Rays. Now, however, EVERYTHING HAS CHANGED! The Company of Heaven has confirmed that with the miraculous changes that have taken place at an atomic cellular level within Humanity and all Life on Earth since the Birth of the New Earth, Humanity is finally able to receive and assimilate these powerful Gamma Rays from the Galactic Core. For several weeks, the effects of these Gamma Rays have been gradually building in momentum. In fact, they were instrumental in assisting Humanity and the Company of Heaven to fulfill the monumental events that were accomplished at the 29th Annual World Congress on Illumination in August. This influx of Gamma Rays will reach their peak in the midst of a total Full Moon Lunar Eclipse. The influx of Light from the Full Moon Eclipse will stabilize the Water Element which composes 80% of the entire Elemental Kingdom and sustains the Emotional Bodies of Humanity. The Water Element is also the Divine Intelligence through which the Love Nature of our Mother God, the Holy Spirit, is tangibly manifest in the world of form. In preparation for this Cosmic influx of Gamma Rays, the Company of Heaven want us to grasp the magnitude of this opportunity by revealing the following information. Due to the life-transforming Activities of Light that have been successfully accomplished through the unified efforts of millions of Lightworkers around the World, the Earth and ALL her Life are now on the brink of a miraculous Transfiguration. On September 27-28, 2015, through every person’s I AM Presence, Humanity en masse is going to receive the full power and might of the myriad Gamma Rays we have missed from this rhythmic 3,600 year Gift from On High, back to the initial impulse of the fall. This has never been done before and no one knows how it will manifest for each of us individually, but KNOW the results will ONLY enhance our lives and our Ascension process. The Mighty Elohim have assured us that the Earthly Bodies of ALL Humanity and the Bodies of Mother Earth are now vibrating at a frequency that is ready and able to withstand this influx of Gamma Rays and that this will occur in perfect Divine Order. This is a Cosmic Moment beyond anything that has ever occurred for the Sons and Daughters of God. Be at Peace and Be Here NOW! Your I AM Presence knows exactly how you can best experience this wondrous opportunity. Go within, ask for guidance, and your I AM Presence will guide you unerringly through this process. I Love YOU more than you will ever know. God Bless You. Virgo sign is about aligning with the cosmic order and being organized in ones Life and to be of service and work for some purpose. Pisces is the last sign of the astrology chart which represent surrender to the divine and unconditional love altruistic service to the divine plan. Surrendering ego’s control play is not easy and scary for some, as we are so used to the cover up of our true self the soul. Surrender to the Divine Order of the Cosmos and ones Soul will ultimately bring us into Bliss. Time for releasing the old, the ego and forgiving all and living in alignment with the order or laws of the universe which is unconditional Love, Truth and Ethical behavior. I was meditating in 2 Temples – 1. Hindu Center where i spoke with Durga and Saraswati and 2. Sai Baba of Shirdi Temple in NYC, where I felt its time for me to let go of all resistances still in me and bow to my own Guru within. I knew I needed to finally surrender to my I AM PRESENCE and allow it to work through me completely and trust my own divine self. This means, I shall now fully ALLOW my real self to come in and I shall BE it, not be what I thought I should be in order to please others, and also let go off all fears of my own powers and take total responsibility for my souls plan for this life. VIRGO is the order of your being, the food you give yourself, the clarity of your mind and consciousness. Virgo is the planner. Mercury rules Virgo and is the Thinker. Opposite to Virgo this Full Moon is the sun in Pisces. Pisces as Pisces is the sum of all 12 qualities of the Zodiac. The soul is infinite and is unconditional LOVE, as this is our true essence – how we were created by the creator. It is the divine child – the crystal – the Christ-self. Virgo asks us to live in alignment with the Order of the Cosmos and the laws of Nature, our divine soul’s will, which is in alignment and one with Mother Father God. Virgo is clear thinking – a pure mind that isn’t fogged. Virgo is for saving up for a rainy day, planning things in a orderly fashion. Virgo is also being of service and work. How can we serve divinity. Do we allow divinity( or God) to work through our human self? Pisces asks us to surrender the ego’s will. Pisces ruled by the planet Neptune is transcendence and or illusions. Pisces has 2 fishes, one is the higher road and the other the lower road. Pisces can transcend the lower worlds and live in unconditional love and service or the lower fish can swim in illusions and drown himself in alcohol and drugs to escape what he doesn’t wish to see or take responsibility for his experiences and life. Its a choice. We need to examine our values and see what really counts in our lives and what is superficial and unimportant for our happiness and see where we can make changes and what we can let go of for good. It does take big courage to surrender to something higher than your person and learn to trust your soul and God/dess within you and the creator. It involves much self-love and responsibility to allow the divine will to work through you. Once we take the leap of faith in divinity – much magic can happen. We can manifest miracles all the time. We just need to trust our Divine Self and the connection to source. When Virgo moon is opposite to Sun in Pisces, we are to trust the order of the cosmos and be organized, but at the same time, then be allowing to the flow of all in order to be creative, as pisces is artistic, imaginative, but as any good artist, one needs some structure and order to get things accomplished. Balance is needed. So, meditate now, especially the time of the Virgo Full Moon, when we transcend the illusions of the 3rd dimension and surrender to the higher order of being one with our soul which Virgo is. And once we are reunited with our soul, we are connected and ONE with the Collective or Universal Soul and Mind. Transcendence unifies us with all there is and we can live in bliss and harmony with all. Breathe in divinity and call your higher self and I AM presence in – ask them what you really wanted before you incarnated. Examine what resistances you still have and write it down. Then tune in to your inner most wishes, passions and dreams, as these come from your soul. Make sure the wishes come from love and not ego’s wants. Breathe into your heart( a point behind your physical heart) and visualize your Soul’s Heart above you in the higher worlds or dimensions. Sit inside a sphere of Light with heaven and earth connecting through your Pillar of Light. Feel the divine love within you and your heart. What pains and fears do I still have? How can I let them go? With what do I replace all the blocks and excuses for not doing what the soul wants? How do I begin new on a higher level? What can I do to become more organized in my life? Do I allow God and/or my God-self to work through my human body, mind and heart? Some of you may hear a name of your Higher self and your I AM Presence, if you ask them for the name. Talk with these aspects of yourself. Then you should feel the divine love and wisdom that you are. Breathe in and connect a shaft of light from your heart to your soul to the creator and down to Mother Earth. Call the Violet Fire into your heart and send it from your heart to the hearts of others, and forgive all who wronged you in the past including yourself for allowing it. Cut ties to the past with AA Michaels Sword. Once it cleared, see yourself inside the clean White Golden Light of your Sphere. Trust it all and feel peace and bliss. SHARING: You may share this by re-blogging it as is for free in this blog form only with the proper links included. Do not copy and paste it to your blogs. May not be published in Magazines online or paper editions without permission of the Author. – She also teaches classes and does sound healing concerts and activations for which you can invite and organize events with her. It will assist in a recording of Kyria’s new CD of Sound Codes for Ascension & for her other projects for the new children. Its will help others who cant afford classes in less fortunate situations. or write Kyria a Private Message for other ways to assist or make a donation. THANK YOU for your generosity and love. Any amount from your heart can be offered. Credit and debit, EC cards accepted in USD and EURO without having your own Paypal account. I offer only the highest vibrational messages of love and truth on this Page which is dedicated to ASCENSION teachings and news and my own wisdom teachings and messages I receive from Higher dimensional Masters of Light and Sound. fuer diese Lehren auf den Blog werden gerne & in Dankbarkeit angenommen . Es wird Kyria unterstuetzen in der Produktion ihrer neuen CDs mit Klangcodes fuer den Aufstieg u Heilung, so wohl wie andere Projekte fuer Kinder. oder Kyria per PN schreiben um andere Wege zu beizutragen & helfen.